March 1, 2014, my dad died. 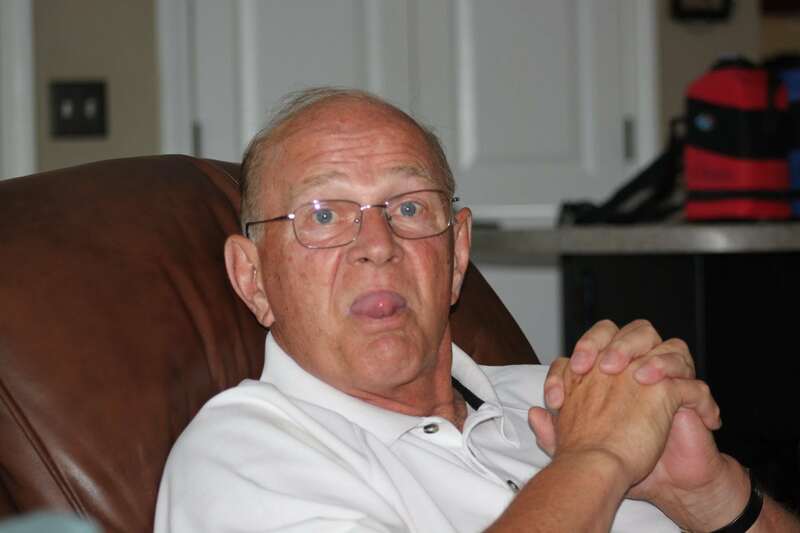 I’d like to share with you a little bit about my dad, also known as pops or to his grandkids, it is Poppy. Quite simply, he was an amazing man. If he were here, hearing me say that, he would smile real big and say, “I resemble that remark.” He was funny, playful, wise, supportive, kind, generous and one of my most favorite people in the world. In 2012, he was diagnosed with MDS, a rare blood disorder, which we had hoped would give him at least five more years to live. During his final hospitalization, he asked me to talk at his funeral, which I did. I am sharing my reflections here, in honor of him. He has taught me more about love and life than most anyone, or anything I know, and I hope to share some of his wisdom with you. English is not the only language my father spoke. I’m quite convinced that his native language was the language of love. According to the author Gary Chapman, there are five love languages: words of affirmation, quality time spent together, physical touch, gifts, and acts of service. Chapman says we typically lean into one or two languages when we communicate our love, but not my pops; he spoke all of these languages fluently. Words of affirmation came easily for my dad. I was in middle school, approaching high school, and I was self-conscious and worried about not being liked, and I was anxious about fitting in. I remember it like it was yesterday. We were walking through the mall, and he turned to me and said, “Be your self. If you can do that, then everyone will love you just like I do.” I remember feeling such relief. He was telling me that who I am is already enough. I don’t have to create any other version of myself than the one that I already am. I think about that still today. The second love language is quality time. Growing up, there was a revolving front door on my childhood home. It was always open and frequently friends would wander over, sit in our kitchen or living room and just talk. He was always ready for a conversation and happy to have the company. He was easy to be with. He had a way of making you feel like you are the only one in the room – the only one that matters. So many times in my life I have felt like he could read my mind. I never used to understand how. I realize now that all he did was simply pay attention. He noticed me and my moods, my fears, my dreams, and my wishes. We talked every day. And he always listened. He believed in me and I always knew it. He appreciated me and I always felt it. He loved me and I always trusted it. This came easily for him, as did most of the five love languages. I remember the night I was broken-hearted about a boy (I know, imagine that) and he said, “Get the keys, we’re going for a drive.” And with my learner’s permit in hand, he let me drive for miles, landing us in a nearby town where we had pizza. With our bellies full and my bruised heart on the mend, he let me drive all the way home. I still remember our conversations about love and life, while listening to his favorite 60’s music playing in the background that Saturday night. The third love language is Acts of Service. My dad was the guy who cleared the snow off neighbors driveway while they were warmly tucked inside their homes. He fixed his buddies’ broken sink, drove you to the airport, took you to your first AA meeting, helped you work on your house or your car, fixed your jet skis, helped you build your deck, install a patio, lay carpet or flooring in your house, fixed your washer or dryer, tuned up your lawn mower, waxed or detailed your car, and many other things I am sure I am forgetting. He was resourceful, kind, talented, and in the service of someone – ready to make life better and easier for you. This made him happy and he delighted in doing so. The fourth language of love is Touch. My pops was a very affectionate man, and he knew how to give the best bear hug ever, and he was generous about doing so. The last language of love is Gifts. One of my dad’s habits was to buy large bags of mints, and everywhere he went, he offered them to whomever he came in contact. He was very generous. He will delay buying himself anything until it goes on sale, mind you, but he would have given you the shirt off his back today if you needed it. When I was a student at IU, I briefly worked where my dad worked. It was Christmas time, and one day I happened to see him putting some blank envelopes on a few of the secretary’s desks. I asked him what he was doing, and he said, “These women are single moms and I know they struggle financially. I’m just giving them some extra money to help them with Christmas gifts for their children.” He asked me not to say anything – he didn’t want them to know the money was from him. This was a normal sort of thing for my dad. Nothing about it surprised me. Many friends actually lived in our home over the years. I don’t mean they spent the night, though many, many people did that too. My childhood home was often referred to as The O’Mara Hotel. My mom and dad have opened their home in one of the most generous ways I have ever seen with families living with them when building a new home, or their friends with kids at IU who stayed there while in college, and just about any other scenario you can imagine. Our home was open, social, and a place people knew they could enjoy laughter and good company. So yes, my dad spoke the five love languages fluently. I feel blessed a million times over for the gift of calling him dad. He was a good and kind person and had an enormous, generous, loving heart. He taught me that I could achieve anything I desire. He showed me how to respect others. He modeled for me how to be a good, trustworthy, reliable friend. He taught me how to use my voice, to look people in the eye, to shake hands firmly. He encouraged me to hold my head up and pull my shoulder’s back. I always thought he was focused on my posture, now I realize that it was personal pride he was shaping. He showed me, very patiently, exactly how to press a shirt. He even tried to teach me to cook, yet accepted that I didn’t want to learn. As it turns out, that was a lesson I should have heeded. He taught me that “what goes around comes around,” and he has proven this in his life, and through his actions. He always made sure that my mom, brother and I were well cared for.